Russia’s anti-doping agency has failed to get its WADA suspension lifted. 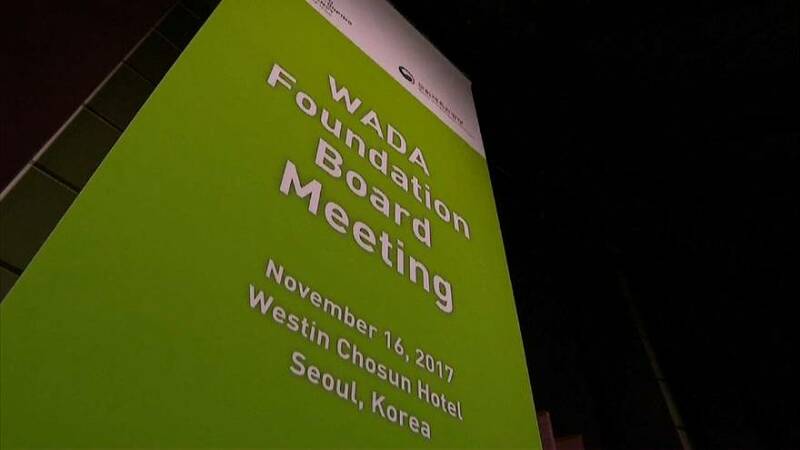 The World Anti-Doping Agency’s board met in Seoul, the last scheduled chance for Russian competitors to get a clean bill of health for the Winter Olympics and reassure WADA Russia has a workable “road map” to compliance. “We do have a situation from our compliance review committee, which says the agreed roadmap for compliance for the Russian Anti-Doping Agency has been fulfilled in many ways but there are still two issues which remain unfulfilled,” said WADA President Sir Craig Reedie. WADA wants Russia to acknowledge they had a state controled doping program, but Russia continues to deny this. Equally, it is denying access to stored blood and urine samples. Both are at the heart of the alleged conspiracy. Russian Sports Minister Pavel Kolobkov protested at the decision, accusing the head of the Compliance Committee of “acting as a judge and saying a number of things without allowing any appeal or discussion,” but it appears the mood among WADA’s 38 board members was so strong Reedie did not need to ask for a vote. “I think this should in now way hinder the participation of Russian sportsmen who are under permanent control by foreign officers to participate in any tournaments,” said the ROC President Alexandr Zhukov. The continued suspension increases the risk that Russia may boycott the next olympics, the first such boycott by the esrtwhile sports superpower since 1984.